Do you have big dreams? Do you love staring up at the sky and looking for signs in the clouds of what you could become? No matter how old Snoopy became he never stopped dreaming. He never gave up on his dreams of becoming a pilot even as he was shot down by the Red Baron. Even though his work was never published he didn't stop writing his adventure novels. 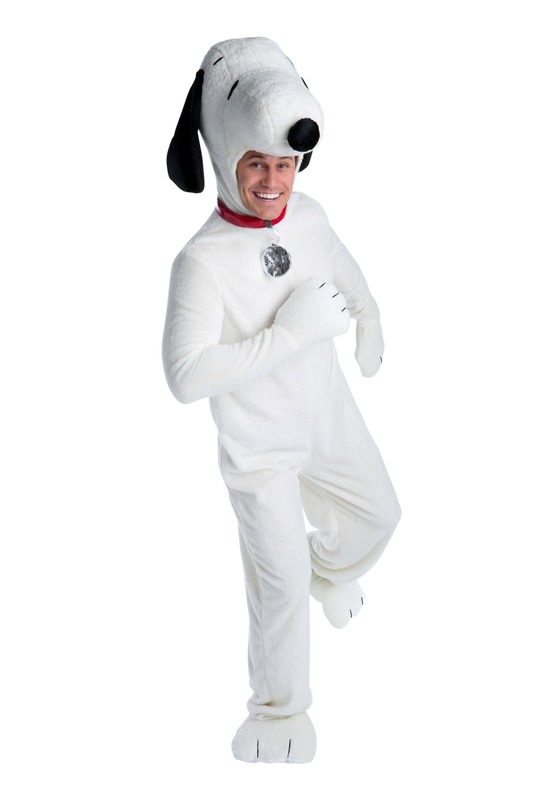 When you dress as Snoopy, you're not just going out as some general mutt. Snoopy was the spokesperson for the Apollo Program, he was the figurehead of insurance companies, and he even had an amusement park named after him. Many people's favorite Peanut's character, this influential hound has captured hearts and imaginations around the world. Makes you wonder, what can you do when you're dressed as Snoopy but you get to ignore those pesky "No Dogs Allowed" signs? Maybe you could finally do the stand-up show you came up with on your typewriter. When Snoopy was only a dog he could never get into that club with the open mike night. When you ran the set past Woodstock he fell over laughing, so it should be good, let's just hope Lucy isn't there, she's always been your worst critic. It's time for Snoopy to come home for your next costumed event. You'll be the life of the party, especially if you break out the classic Peanuts jig. At your next Halloween party just remember you're cool because tonight you're Joe Cool. High quality costume and I got great compliments on it. Sizing by the chart was spot on.